Home Types of Radial Drilling Machine What is a Radial Drilling Machine? 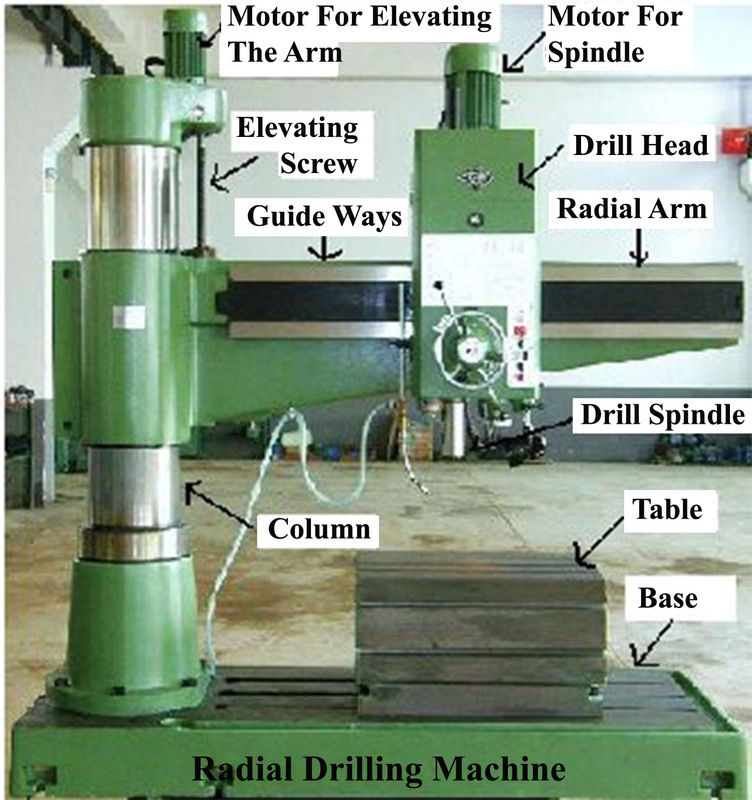 What is a Radial Drilling Machine? (a) Base. Base of the radial drilling machine is a rectangular casting and is supports column at one end and the other end is finished and provided with “T” slots to hold the table or work pieces. In some radial drilling machines two bases are provided for setting jobs for mass production. Loading or unloading can be carried out on one base while drilling operation is carried out on another. (b) Column. It is mounted at one end of the base. It is a cylindrical casting and supports the radial arm which slides up and down. A motor is mounted on the top of column which imparts vertical movement to the radial arm by rotating a screw passing through a nut attached to the radial arm. (c) Radial Arm. It is mounted on the column and extends horizontally over the base. The face is accurately machined and drill head slides over it. It can be swung around the column. In some modern machines a separate motor controls the radial arm. (d) Drill Head. The drill head is mounted on the radial arm and it drives the spindle. It is having mechanism for different speeds and feeds. The drill head slides over the radial arm for adjusting the position of the drill. The drill head can be clamped at any position on the radial arm after sliding. (e) Spindle Drive and Feed Mechanism. In some radial drilling machines a motor is mounted at the overhanging arm. The motion is transmitted to the drill head by bevel gears through a train of gears in drill head the spindle speeds and feeds may be adjusted. In some machines the motor is mounted directly on the drill head. (a) Plain Radial Drilling Machine. In this type the arm is having vertical and horizontal movement of the drill head along the arm and circular movement of the arm in horizontal plane about the vertical column. (b) Semi Universal Radial Drilling Machine. In this type of radial drilling machine, in addition to the above three movements the drill head can be swung about the horizontal axis perpendicular to the arm. This permits to drill a hole at an angle to the horizontal plane. (c) Universal Radial Drilling Machine. In this drilling machine in addition to above four movements, the arm holding the drill head can be rotated on the horizontal axis. All these movements in radial drilling machine enable to drill on a work piece at any desired place at any angle. 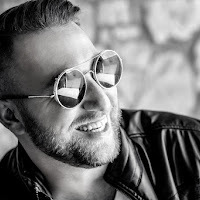 What a great article and post you shared with us. It really very helpful information.. Thank you so much for sharing a ultimate details. here you can check best directional drilling company in australia so check it now.